Facts This was constructed in 1594.The basilica holds the mortal remains of St. Francis Xavier. 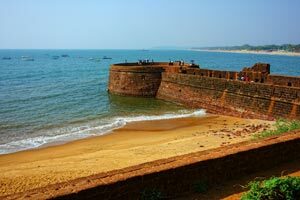 People Love For Place This place tells about the history,culture and architecture in Goa for 465 years. Tips Maintain the Church Decorum. Extra Paid parking is available. 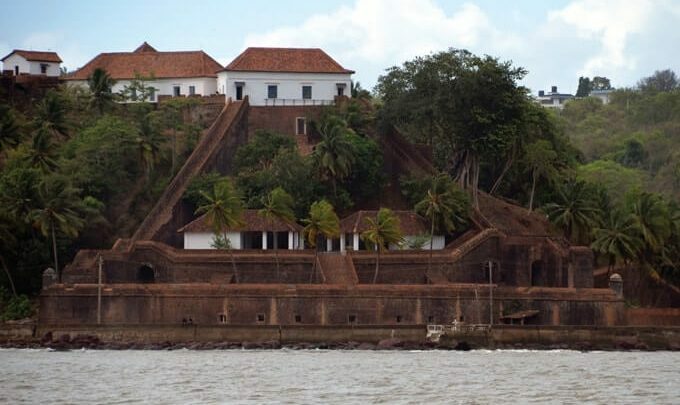 Facts Chapora Fort, located in Bardez, Goa, rises high above the Chapora River. People Love For Place The sunset from this fort is a worth capturing sight. Tips Best time to visit is during sunrise or sunset. Extra It is from this place that the Viceroy's were welcomed to Goa. 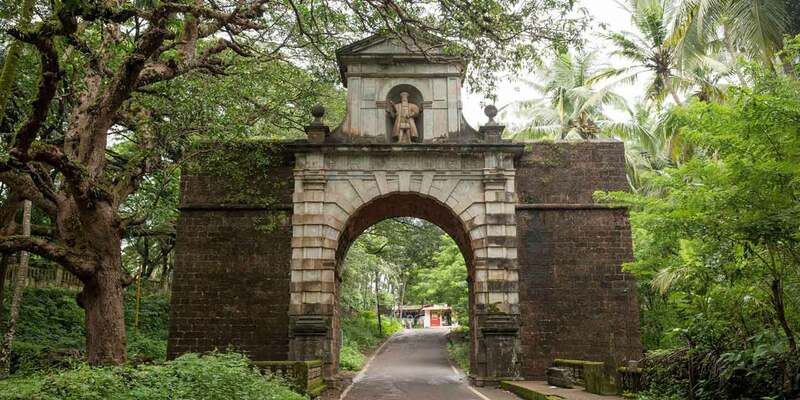 It can be called as an entrance to Goa. Facts Brick & stone archway dating to 16th century, built over a road leading from river to town. People Love For Place This place is the evidence of the Portuguese entrance into Goa and is a soothing place to the soul. Tips Photography is not allowed inside the monument but pictures can be clicked outside. Average Time To Spend About 1.5 hours. Distance From Other Place 16 km from Dona Paula. Extra Since Post-liberation, the fort is still being used as a jail by the Goa government. The newly discovered spacious rooms, below the two main buildings are used to serve as prisons, where entry is not permitted. People Love For Place This is not a completely restored site but this place tells a lot about the history of Goa. Average Time To Spend As per your convenience. Facts It is Goa's 1st heritage hotel. People Love For Place It is a very well maintained,Themed hotel with good staff and service. Tips Book the rooms in advance. Distance From Other Place 3.2 km from Aguada fort. Facts Remains of an old coastal fortress popular for scenic views of the ocean & sunsets. People Love For Place This place is known for its beautiful sunrise and sunsets. Extra This fort has the facility of luxurious beach resorts . People Love For Place The lush green landscape,blowing wind and soothing atmosphere. Ticket Price Rs. 7000 per night stay in this beach fort. Distance From Other Place 28 km from Chapora fort. Facts This waterfall, which cascades down from the mountains from a height of 50 meters, is not as awe-inspiring as the Dudhsagar Waterfalls spectacle, but is interesting all the same. People Love For Place The Historic cave dwellings thought to have been carved out of rock in the 6th century.